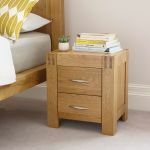 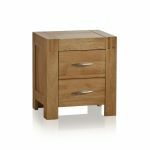 The Alto Solid Natural Oak Bedside Table features finely waxed solid oak in its simplest form. 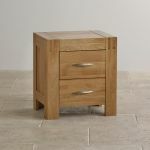 The design is simple and beautiful; focussing on high quality carpentry and thick cut oak timbers. 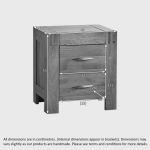 The two drawers in this neat Table are crafted with dovetail joints and solid brushed metal sleek handles. 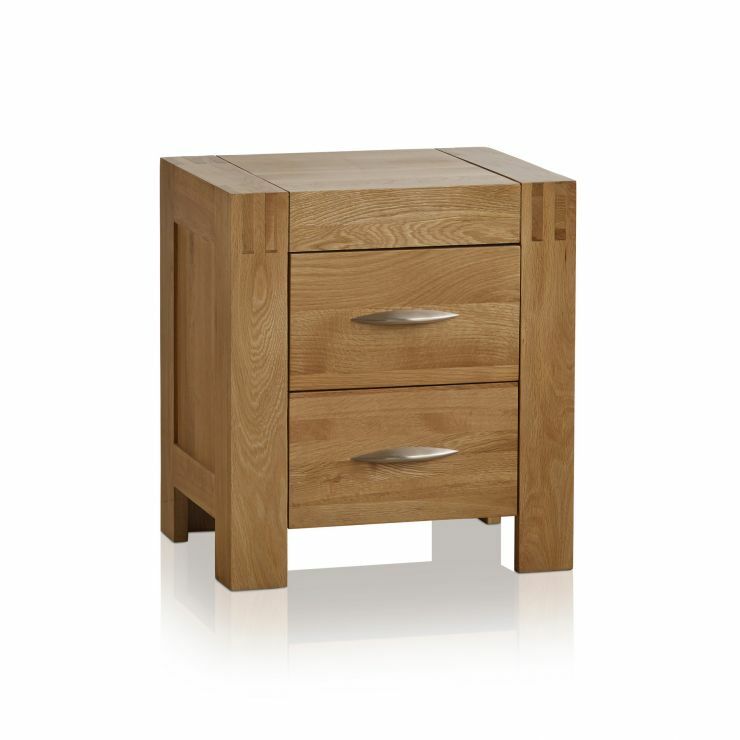 All Alto units are crafted from premium grade solid natural oak and all tops are 20mm thick. 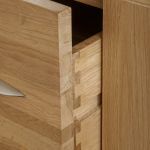 The defining features of this range are the finger joints in the top corners. 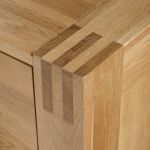 These are an ancient style of joint, known for strength and longevity. 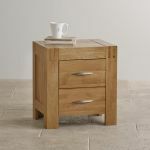 They also have quite a distinctive and attractive appearance and give a robust and solid feel to the table.